Trew Audio sells, rents and services location sound equipment to the film, tv and video production industry, with branches in L.A., Nashville, Toronto and Vancouver. 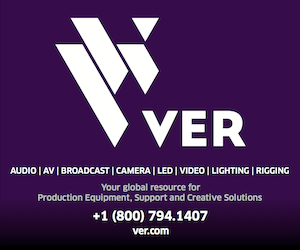 We have a huge inventory of professional sound equipment for your production needs. From the newest digital wireless systems and multitrack recorders to industry standard boom mic kits, we have what you want and we're experts on how it works. Our Sales staff is knowledgeable and dedicated your success. Our service department is an authorized repair center for Sound Devices, Ambient and we are factory trained by Lectrosonics. Whether its your fiftieth feature film, or your film school thesis project, we'll make sure you are completely prepared for your shoot. Glen Trew, our CEO is a working sound mixer and we understand the challenges of recording quality audio on location. Our Los Angeles branch was founded as Coffey Sound and became part of Trew Audio in October 2011. Feel free to give us a call if we can be of service to you.